Exercise daily for 30 minutes including yoga. Engage yourself in heart friendly or aerobic exercises. Engage in Yoga on daily basis. Have adequate hydration before, during and after exercise. Exercise according to your body type Kapha, Pitta or Vata. Have your exercise protocol by your Doctor after the age of forty especially if you have coronary artery disease or had heart attack, asthma, hypertension or if we had stroke (paralysis), osteoarthritis, peripheral vascular disease or if you had intervention such as PTCA / CABG, permanent pacemaker implantation, valve replacement or AICD (automatic intracardiac device) implantation. Avoid extremes of weather for exercise. Avoid exercise after alcoholic drinks or smoking. Best time for exercise is Kapha period that is 6 am to 10 am or 6 pm to 10 pm. Daily yoga enhance healthy heart and healthy mind. Our body is designed for physical activity and the impulse to exercise is a natural human tendency. The concept of exercise is right from the time when the baby is in the mother’s womb. The baby’s movement in mother’s womb gives joy to both the mother and the baby. This joy of using the body to its full activity throughout the life leads to perfect health. Food is the fuel that we consume everyday and exercise creates the energy, which uses this fuel. There has to be proper balance between the exercise and direct consumption. Lack of exercise or sedentary lifestyle leads to disability and disease. Historically it has been well documented that through millions of years of our revolution, our cardiovascular system and metabolism were used to vigorous physical activity. Until 19th century, vigorous physical activity remained as integral part of our daily life. However with the modern industrialization, we consume more and enjoy ample food and comfort with minimal physical activity. Sedentary jobs, using the car instead of walking even for small distances or parking the car right in front of shop when we go for shopping and request the shopkeeper to come to you, misuse of motorized transport, use of physical activity saving devices in the house like remote controls for operation of televisions, use of elevators, use of washing machine and automation in industry etc. have made many of us inactive and lazy. We are all the spectators, preferring to watch the game of tennis, cricket or football on television or rather then playing them. Thus, the balances between the energy supply and demand and gets upset. Eating the right food at a right time, at a right place, at a right manner, in a right dose, in a right environment with exercise schedule at a right time, at a right place, in a right manner, in a right environment, in the right frequency, for the right duration and the right type of exercise will keep us fit and healthy physically and mentally. I firmly believe that the willpower and keen interest in exercise will make us a healthy being. Moderation in exercise is the key for perfect health. Too little and too much can be damaging. Effective exercise program should be based on an individuals need especially after the age of thirty after consulting your physician. Daily exercise is a very important integral component of our ideal lifestyle. Exercising daily for thirty minutes help in maintaining optimum integration of various components of health including body, mind, soul, spirit and environment. Those who exercise they live long. Exercise has a tremendous impact on our personality, potentials, achievements, success and happiness. Unfortunately most of us exercise after we have bypass surgery or after having any such major ailments. I firmly believe that if we exercise regularly it may help us not only in bypassing the bypass surgery but also bypassing many aliments such as heart attack, hypertension, high cholesterol, premature stokes, arthritis, osteoporosis, cardiac metabolic syndrome etc. Either we can use our body for loose it, depending on what perception, thoughts, interpretations, experiences and choices we have. I firmly believe “Use it or Lose it”. If we exercise for thirty minutes a day or three and half hours a week or fourteen hours a month or six days a year or one year of our lifetime of eighty years, then we will remain healthy physically, mentally, socially, spiritually and environmentally with a healthy heart as defined by World Health Organization. You must follow the lows of nature if you want to be healthy. Moderate regular exercise is enough to provide you with almost all of the health and longevity benefits without risks of more intense exercise. Multiple Risk Factor Interventional Trial, directed by Dr. Arthur S.Leon reported the results 12,138 middle-aged men who participated in the study divided these men into three groups based on the level of exercise and he followed up these individuals for seven years. Those who exercised moderately had 30%less deaths from all causes including heart diseases (coronary artery disease as compared to those who were sedentary. Moderate exercise was defined as exercise at least 30 minutes a day, moderate intensity activities are those such as walking, gardening or home repairs. Mortality rates of those with high levels of exercise were significantly different from those with moderate levels of exercise. A recent study conducted by Dr. Steven Blair and his colleagues at the Institute for Aerobic Research indicated that even little exercise goes a long way. He reported the data of individuals subjected to treadmill test on 10,224 men and 3,120 women and concluded that these individuals were followed for eight years, those who were least fit (group one) had death rate three times higher than those who were most fit (group five). In other wards walking 30 minutes a day reduced the premature death almost as much as running for 30 – 40 miles a week. The exercises can be classified as (1) Heart friendly or health friendly or aerobic exercises (2) Heart unfriendly or health unfriendly or anaerobic exercises (3) Unaccustomed. The heart friendly exercises are walking, wagging, jogging, swimming, dancing, cycling, skiing, rowing, walking on treadmill etc are good for heart and require oxygen. The aerobic system is must more efficient, it increases oxygen–rich blood to your muscles and the heart unfriendly or anaerobic exercises are weight lifting, isometric contractions such as pushups etc., which build the muscles and does not require oxygen and are not friendly for healthy heart. The anaerobic system is designed for short, quick, intense bursts of energy, the kind you use such as sprinting or dashing for a train. An aerobic exercise generate large amount of waste product such as lactic acid, which causes muscle cramps, soreness and pain. Unaccustomed exercise are such as pushing a car or changing wheel of a car or starting jogging for the first time at the age of 50 or 60 or exercising in extremes of weather either too hot or too cold or too humid or without awareness of our effort tolerance. One should perform the exercises which he or she is used to and should be aware of worming up and conditioning effects of exercise. Your exercise session contains three phases: warm up phase, exercise phase and cool down phase. The warm up phase is for five to ten minutes. This helps to make transition from anaerobic to aerobic metabolism. During this time you gradually increase your heart rate and blood pressure and body temperature to help to avoid injuries and muscles soreness. Start your warm up with gentle stretching of muscle you plan to use. For example the leg muscles if you are not going to walk. This followed by exercise phase of 20 to 30 minutes of aerobic exercise of your choice. This followed by cool-down phase of five to ten minutes. Cool-down phase is at least as important as warm up phase. During aerobic exercise, your blood vessels begin to dilate in order to supply more blood to your muscles. The cool down phase allows time for your blood vessels and your heart to resume their normal state. By heart friendly exercises there is a liberation of endogenous opiates called endorphin, which gives a feeling of tranquility in mind. It also helps in skeleton muscles relaxation thereby dilating blood vessels including capillaries thus increasing the microcirculation. It also enhances the developments of collaterals in heart, brain and elsewhere in the body, thus helping in enhancing the circulation. It increases the levels of various vasodilators such as prostaglandins I, nitric oxides and reduce the levels of prostaglandins F2 alpha and norepinephrine. It prevents clotting and enhances hypocoagulation state by increasing the levels of tissue plasminogen activator, preventing aggregation and adhesion of platelets. It also increases the deformability of red blood cells, thus help enhancing microcirculation. Increases good cholesterol such as high-density lipoprotein (HDL) and decreases bad cholesterol such as total cholesterol, low-density lipoprotein (LDL) and very low-density lipoprotein (VLDL) and triglycerides, thus preventing hardening of the arteries. It improves the joints flexibility, bone density, muscle tone, skin elasticity, metabolism, liberation of various hormones including cortisol, growth hormone, thyroid hormones, insulin, glucagon, sexhormones etc. Approximately 100 calories are burned off per mile, whether the mile is covered by brisk walk (wagging) or jogging. Those who exercise, they livelonger. It has been reported by Dr. Ralph Paffenbarger of Stanford University. Exercising for 30 minutes a day is enough just to live longer if we chose to do more exercise then do it because you enjoy it is not necessary requirement to live longer. Exercise will make you fit, but fitness and health are not synonymous. Exercise alone is not enough to make you healthy. In order to achieve perfect health exercise is essential part of comprehensive lifestyle program. “Fitness” refers to your level of conditioning and training effect. The best and the simplest way to assess your fitness is to know that how long does it take for your heart rate to return to normal after vigorous exercise. The sooner your pulse returns to its usual resting rate, the more fit you are. Another measure of your fitness is your resting pulse rate – slower is the resting pulse rate, more fit you are. You can also measure your fitness by knowing how long and how far you can exercise. The exercise protocol has to be individualistic depending on the mind body type of an individual such as vat, pit and kaph dominance and age of individual and the status of the heart, and any such disability such as obesity or osteoarthritis or osteoporosis or neuromuscular disorders etc. The formula, which is, commonly used for the exercise protocol in normal individual is to advocate exercises in such a manner that they can achieve 85% of maximum heart rate at peak exercise. This can be calculated by 220-age of the individual for example if a man is 40 years old then his predicted maximum heart rate will 180 and he may achieve 85% of 180 that is heart rate of 154 per minute. Before subjecting any individual to treadmill exercise or any such strenuous exercise we should ascertain the effort tolerance and evaluate the limitation rendered by any disability such as osteoarthritis, peripheral vascular disease, obesity, chronic obstructive airway disease or any such neuromuscular disorder. The exercise should be in an environment with optimum temperature and not extremes of cold or extremes of heat, with no pollution. The ambiance of natural environment such as an open park with lush green environment and no noise pollution enliven prana, tejas and ojas. 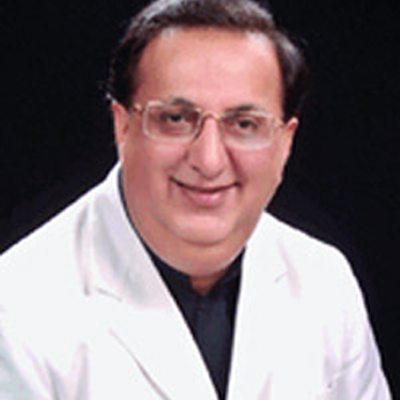 The individual who have heart ailments or hypertension or diabetes or had any such interventions such as pacemaker implantation or AICD (automatic intra cardiac device) implantation, after valve replacement or CABG or PTCA with/without stenting should have there exercise protocol recommended by the doctor concern. Exercise such as walking, bicycling are excellent for most of the people.